You see a loud, smart, black bird, hanging around with his gang of mates, giving you fearless looks, and constantly rummaging through the garbage (or your picnic) for a snack. Must be a crow, right? Or at least a corvid relation? But no, the grackle isn’t even distantly related to the crow. It’s a member of the Blackbird family, which includes the Brewer’s and Red-winged Blackbirds that we see in the Pacific Northwest, as well as Cowbirds and Orioles. We went to Mexico last winter and as soon as we got out of the airport I started noticing these cheeky, opportunistic birds. They seemed to be everywhere, always with a beady yellow eye to the main chance. In the absence of any crows, the grackles began to occupy the part of my brain that is usually filled with corvid observations. The grackles we saw in Mexico were of the Great Tailed variety (Quiscalus Mexicanus). Locally, they’re called Zanates. In comparison to crows, they’re a lot more streamlined, with light gold-coloured eyes, and legs that go on forever. The males have a long, impressive (some might say, “great”) tails, and a have vivid blue and violet sheen to their feathers. The females are much, much smaller (about half the size), with more modest tails and dullish brown feathers. They’re so different that it took me a while to realize that they’re the same species — I thought for a long time that they were two kinds of grackle that just liked to hang out together. Female Great Tailed Grackle paddling at the beach. We did see a dazzling variety of birds in Mexico (pelicans, spoonbills, herons, parrots, hummingbirds, chachalacas, caciques, woodpeckers, buntings, doves, cormorants …) but, for some reason the grackles kept calling to me. I guess I just can’t resist a bird that looks me right in the camera lens and dares me to press the shutter. Look out, make way for the Great Tail. Like crows, the grackles could be pretty raucous. Here’s one making some sort of statement in the early morning near our hotel. Luckily we were up early anyway, on the search for the elusive red cardinal that paid a fleeting and tantalizing visit on the first day, never to be see again. But that’s an entirely different story. NOTE: video follows. If you’re reading this in an email, the video won’t play. To see it click HERE to go to the actual blog post. Once I got home to Vancouver I planned to do some more research and write a blog about the grackles, but, what with one thing and another, the cheeky grackles slipped my mind and that mental space got recolonized by corvids. My interest rekindled, I started going through my photos from last year and doing a little more research. I’d looked up Great Tailed Grackles online when we were in Mexico —enough to identify them and glean a few facts — but our internet was a bit dodgy, and there were other distractions of course, so I didn’t get too far. The ingenious modem set up at our hotel in Mexico. My recent online search for grackle facts turned up news of a fascinating study by Corina Logan of Cambridge University. The Great-Tailed Grackles she encountered in Costa Rica reminded her of crows, and spurred her to wonder if they shared any of that famous corvid intelligence. In 2016, at the university of California, she performed some tests to find out. A series of food acquisition challenges she set for them proved that, like crows, they were very good at deploying a variety of solutions to solve different problems. This particular skill is known, in bird scientist lingo, as “behavioural flexibility” and understanding it is an important piece in solving the bird intelligence puzzle. So crows and grackles, apart from the casually observed similarities, also share a special avian ingenuity. I don’t know if they overlap in any territory and, if so, I wonder if they compete, or use their street smarts to divide up the neighbourhood like avian gangs. Does anyone reading this live in a place where Great Tailed Grackles and crows both reside? UPDATE: For an answer to the above question, see Crow vs Grackle. With brains like ours, the sky’s the limit. If you’d like to keep reading about grackles, I found an very entertaining article by John Nova Lomax entitled Eight Reasons Why Grackles Are Awesome, published by Texas Monthly. His attitude to grackles reminds me of mine towards crows here in Vancouver. I did see one member of the corvid family when we were in Mexico. The Urraca or White Throated Magpie Jay was sometimes to be found on our early morning bird watching walks. An impossibly exotic looking bird, with a “fascinator” head adornment, it would not have looked out of place at a royal tea party. I’d have liked to spend more time with this bird, but it was a lot harder to spot than the ubiquitous, and always entertaining, Grackle. Thank you for these posts! 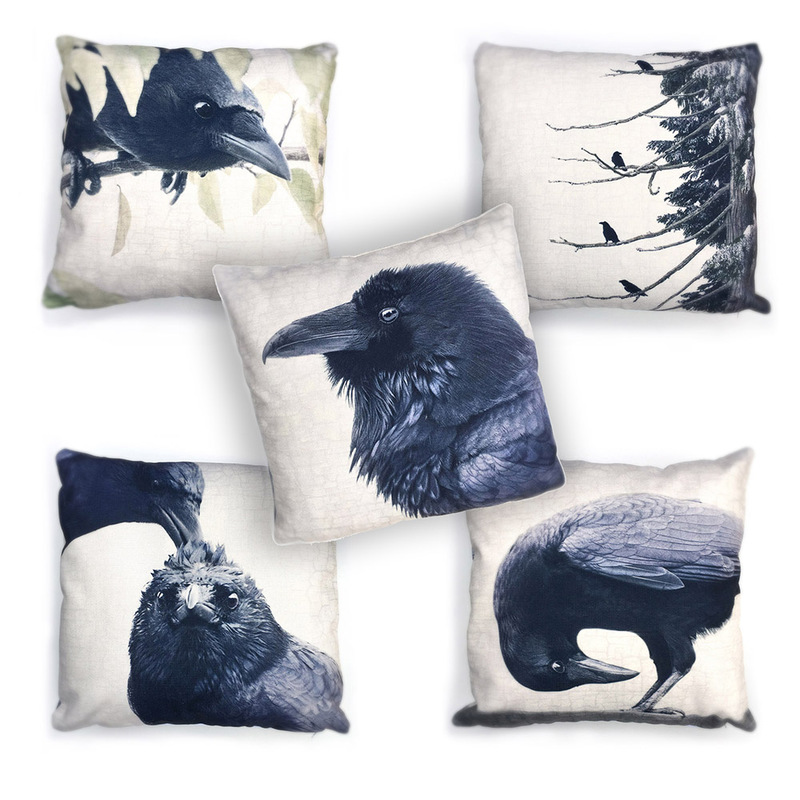 As a crow lover and lover of all birds I find your posts inspiring, educational, and humorous. I live in GA and see cow birds and red winged black birds in the fall and winter here. Crow families reside all year long of course throughout the neighborhood. But the grackle I have never seen in this part of the country. Grackles are everywhere in south Florida where I was born and raised. They ARE quite opportunistsic and cheeky! When I read that i died laughing! So true! I have a photo of a grackle on my wall that was taken by a photographer in Michigan and while living in Wisconsin I saw them so they are in the midwest as well. Thanks — I’m so glad to hear you enjoy the blog and the cheeky grackles! Hi June, my wife and I are in Melaque and wondered what these wonderful blue crow-like birds are called which led us to your site. Your article on cackles is awesome. Thank you for sharing. We live in North Vancouver and this is our second trip to Mexico in our Motorhome, staying at Laguna Del Tule. If you are familiar with the Melaque area would make a recommendation where some good places to photograph birds here. Hi Wayne and Nonie – glad you liked the blog. Coincidentally, I think you’re spending your winters almost exactly as my husband’s parents used to do about twenty years ago. They’d always drive their fifth wheel down to Melaque and spend a few, very happy, months there each winter. We were in Zihuatanejo when we saw our grackles, but I guess they’re in many parts of Mexico.